As a family dentist, Dr. Cannilla enjoys working with children. With two kids of his own, Dr. Cannilla truly understands how important it is to make a child’s dental appointment a positive experience. Our hygienist, Trish, has over 20 years of experience in a pediatric dental office and looks forward to introducing children to his or her first dental visit. 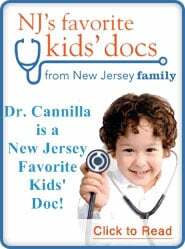 This is one of the reasons why Dr. Cannilla was voted by parents as a NJ’s favorite kids’ doc and holds the position of Montville School Dentist as appointed by the Montville Township Board of Education. Dr. Cannilla and Big BG Roo the Kangaroo have performed presentations to all the of Montville kindergarten children to help them have fun with brushing! Dr. Anthony Cannilla visits a local elementary school for Dental Health Month! Our office regularly cares for the dental needs of children as young as three years old. However, if you notice that your child has a problem with teeth or gums prior to this age, please schedule an appointment. Dr. Cannilla will check for proper development, as well as tooth decay and other areas of concern. 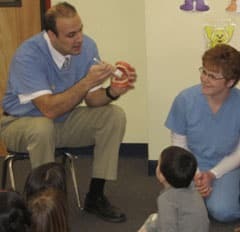 Our team will also teach oral homecare techniques so that your child can learn how to effectively brush and floss, with your help at first, then on his or her own. We often recommend supplemental fluoride and dental sealants to ward off tooth decay in children. Sealants are thin, clear coatings that protect hard-to-clean back teeth from the sugars that cause tooth decay. Fluoride attracts other minerals to strengthen tooth enamel and ward off cavities. Sealants and fluoride supplements are quick and easy protective measures that can save your little one from cavities. When they have cavities, our younger patients really appreciate the benefits of Dr. Cannilla’s patience. 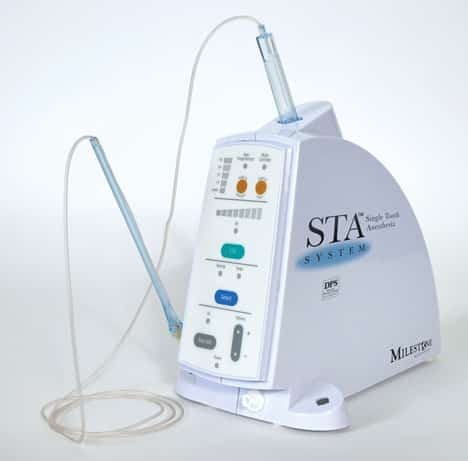 Depending on the condition and location of the cavity, Dr. Cannilla can use a special handpiece which requires no need for anesthesia or for more extensive work, utilize the STA system: a flexible tube connected to a pump that is placed by the effected tooth to deliver small amounts of anesthesia. Children love it because it doesn’t hurt and only the tooth becomes numb! 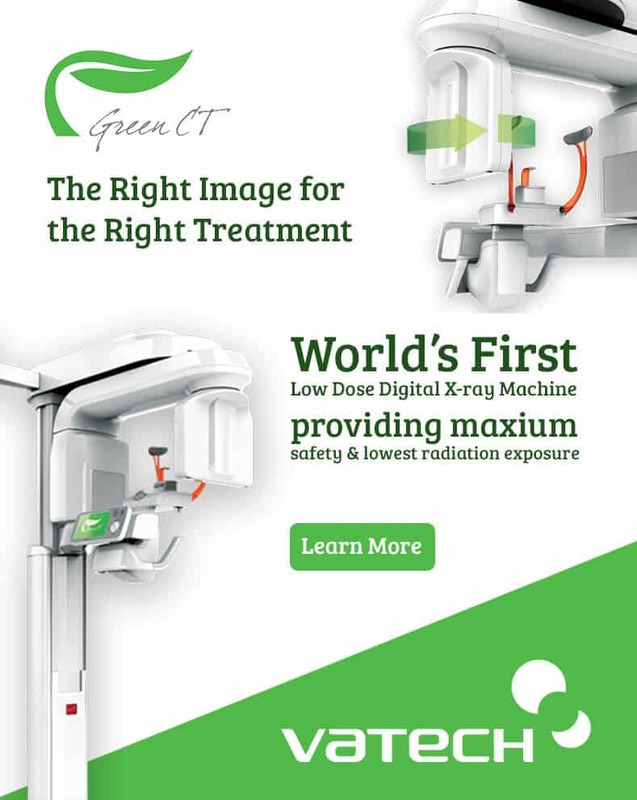 In order to accommodate large family trips to the dental office, Dr. Cannilla provides parents with the opportunity to watch television, read, and the use of complimentary Wi-Fi. For the young adults in the family, there is an Xbox station, games, and plenty of books to keep them occupied. Our office makes an effort to create a friendly, personal, fun atmosphere for everyone, especially children. In our office, children quickly relax in the chair to watch their favorite TV shows. Distraction TV allows for better dental visits for all. After every visit, children may choose a “prize” of their choice for being a great “helper”. We want everyone to feel at ease from the moment they arrive at our office. We even recommend bringing your child to your dental checkup when he or she is about one so that they can become familiar with the sights, sounds, and friendly helpers in our dental office. 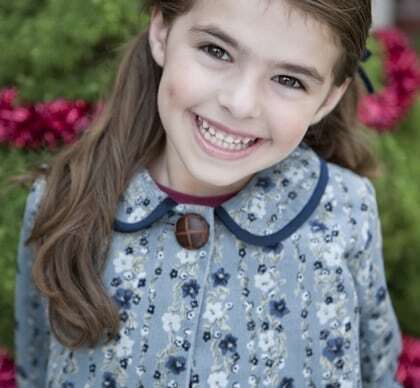 Call our Montville NJ family dentistry practice today to schedule your children’s next dentist appointment.